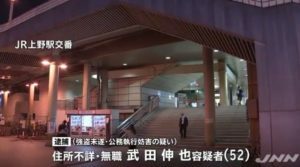 NAGANO (TR) – Nagano Prefectural Police have applied fresh charges of indecent assault to a former Nagano City councilman previously accused of causing damage to a bicycle with his own bodily fluid earlier this year, reports the Yomiuri Shimbun (June 6). 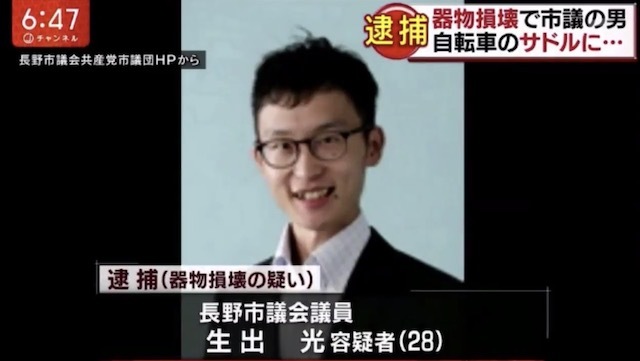 At around 7:40 p.m. on April 19, Hikaru Oide, 28, allegedly fondled the body of a woman, aged in her teens, as she commuted home on a road in the city. The suspect admits to the allegations, according to police. “I apologize to the victims, the voters who believed in me and my family,” the suspect said through his lawyer. 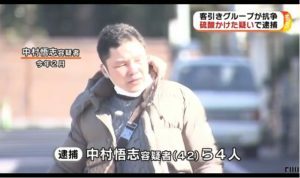 Police first arrested Oide for allegedly spraying an unspecified bodily fluid on the seat of a bicycle while it was parked at the housing complex of its owner in the northern part of the prefecture on January 30. 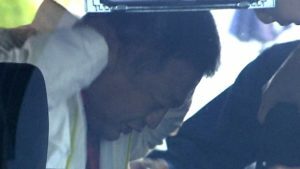 Two days after his arrest earlier this month, Oide resigned from his post with the government. He was sent to prosecutors on suspicion of causing property damage on Thursday. 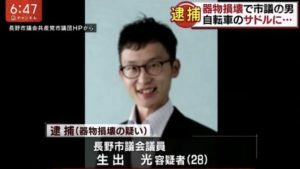 A native of Hokkaido Prefecture, Oide was elected to the council as a member of the Japan Communist Party in September of 2015, when he was 25 years old. Until his resignation, the councilman was active in advancing political measures to support parenting. 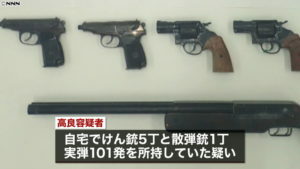 “These are unforgivable acts, and I am very sorry for the victims and citizens,” said Hiromi Nonomura, the head of the Nagano City branch of the Japan Communist Party. The editorial team at The Tokyo Reporter brings the site's readership the latest news from the under side of Japan.